LONDON 13th November 2018 – The ScaleUp Institute is backing business and leadership advancement organisation Vistage to help MDs and CEOs of scaleup businesses across the UK develop the leadership skills they need to manage and sustain rapid growth. With the UK government prioritising scaleups as part of its Industrial Strategy, research by the ScaleUp Institute reveals seven out of ten scaleups say leadership development will be “vital” or “very important” to the continued growth of their business. Respondents singled out access to local peer-to-peer networks, effective leadership development programmes and mentorship from people who know what it is like to grow a business as essential. Vistage, which provides executive peer group mentoring to over 1,600 UK business leaders, is one of just a handful or organisations to earn an official endorsement by the ScaleUp Institute in its annual review of the national scaleup businesses, published today. 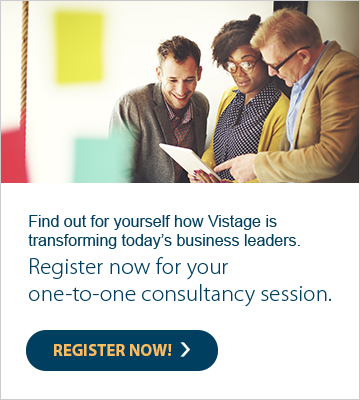 The decision to endorse Vistage as one of the UK’s best leadership programmes for scaleups follows an extensive audit of the value its programmes deliver to members. According to research carried out by Dunn and Bradstreet, Vistage members grow their businesses on average 2.2x as fast as non-Vistage members.